The 2005 Toyota Hiace Van is a member of the model's 5th (2004 - present) generation, with the model code RZH112V and an average fuel economy of 9km/L - 13km/L. On average the HiAce Van is offered in standard, long, or super long variations that alter the wheelbase and overall length, in addition to the inclusion or exclusion of passenger seating. If included, passenger seating can generally be found in a 2-3-3 or 2-3-3-2 layout. Some 2005 Toyota HiAce Van models feature a 2,494cc displacement engine. It is a 2.5L front inline 4-cylinder diesel engine that provides 102 horsepower, which is capable of propelling the HiAce to a top speed of about 140-145 kilometers per hour. The 2005 HiAce is available in both two-wheel drive and 4x4 options, along with either a 4-speed automatic or 5-speed manual transmission. Safety features for the 2005 HiAce Van include immobilizing technology, along with standard dual airbags for the driver and passenger’s side. Additional safety equipment options include a central locking system and rear parking sensors. Standard exterior features including halogen headlights, with power windows and a detachable tow hitch as optional exterior features. Interior features include a manual parking brake, and instrument cluster with a center touchscreen display as an additional upgrade. The entertainment system allows CD playback, with MP3 and WMA as compatible media file formats. Color options for the 2005 model year Toyota HiAce Van were as they have been in the past. These options include black, green, red, blue, white and silver. Thanks to BForward I now have my Toyota Regiusace van. Your services are dependable and I won't hesitate to do business again with you. Thank you Be Forward for this vehicle. Again its in excellent condition and i like it very much. The interior is just emmaculate. 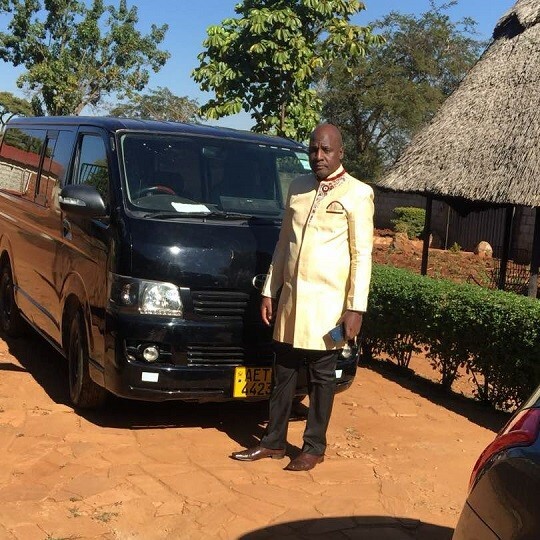 I drove it all the way from Dar ess alaam to Harare (Zimbabwe) without any problem. I did receive my van in good condition, I was a bit disappointed by the delay in Mombasa but all is fine.